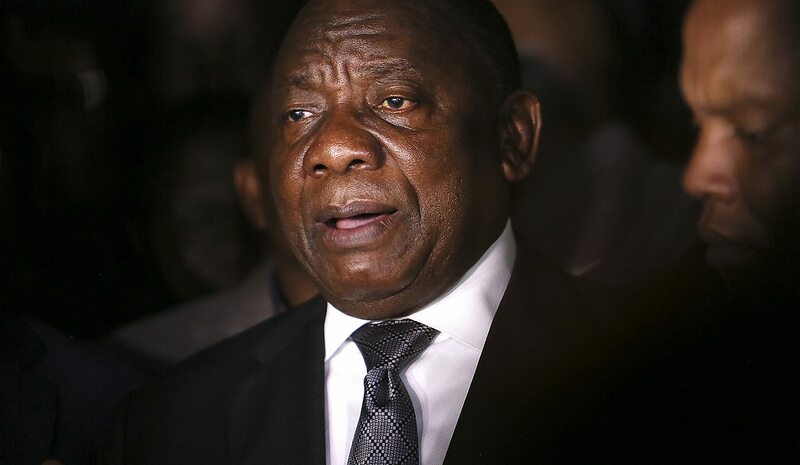 Cyril Ramaphosa, a skilled negotiator who played a major role in the crafting of South Africa’s Constitution, is pushing hard to return SA back to its glory days under Nelson Mandela. There is a window of opportunity here that will not stay open forever and the country must pull together to take advantage of it. By MILLS SOKO. Pravin Gordhan, former finance minister currently in charge of the public enterprises portfolio, was quoted as saying in December saying that should Cyril Ramaphosa be elected ANC leader, “the whole narrative about South Africa’s economy would change for the better within three months”. And in light of last month’s decision by credit rating agency, Moody’s, not to downgrade SA, it is looking like his words were on point. The country can breathe a sigh of relief after Moody’s decided to maintain the country’s sovereign rating at Baa3, one notch above junk status, with a stable outlook. It cited, among other reasons for the decision to keep SA at investment grade, the change in the political leadership and the recovery of the country’s institutions. A downgrade would have been devastating for SA as it would have meant all three major ratings agencies would have had SA’s foreign currency and rand-denominated debt at sub-investment grade. This would have triggered SA’s expulsion from the Citi world government bond index and projected capital outflows of around R100-billion. The Moody’s decision does suggest that SA under Ramaphosa is on the right track, but the country still has a long way to go to undo the damage caused by Jacob Zuma. Ramaphosa took over the leadership of the party in December following a tightly contested race. He then went on to occupy the country’s highest office in February after the party’s leadership effectively forced the scandal-plagued Zuma to resign. Since then there has been fresh optimism across the country (the so-called “Ramaphoria”) that under Ramaphosa’s leadership SA can realise its full potential and address its many challenges including corruption, ailing state institutions, weak economic growth, unemployment and inequality. According to Moody’s the new administration faces equally significant opportunities and challenges. “Steady progress in meeting the objectives set out in the President’s recent state of the nation address will be needed if the recovery in confidence that will be essential for the country’s economic and fiscal prospects is to be sustained,” the agency said. A new leader’s performance is generally assessed after 100 days in office. Ramaphosa has been in the Union Buildings for almost two months now, and has moved very swiftly to rid the country of some of the most obvious rot and, in the process, undo some of the damage caused by Zuma. Within weeks of coming into power Ramaphosa made major changes to his Cabinet, dumping some of Zuma’s under-performing ministers and bringing back the respected Nhlanhla Nene and Gordhan as the ministers of finance and public enterprises respectively. These are two crucial portfolios which can either make or break the economy. Observers also say that under Ramaphosa there has been a sense of urgency in tackling corruption and prosecuting those involved in state capture including Zuma’s close friends, the Gupta’s. Under Zuma’s leadership, corruption became endemic with the auditor-general finding that billions of Rand were stolen or wasted each year. Now, the tide is turning. Twelve months ago Pravin Gordhan was about to be arrested on spurious charges and the Guptas suspected to be running everything. Charges against Zuma have now been reinstated. Zuma’s first appearance in court to face charges of corruption was on 6 April after the previously reluctant National Prosecuting Authority (NPA) reinstated corruption charges against him which stem from the arms deal scandal. The NPA is one of the many institutions that need to be overhauled and staffed with competent leaders who are willing to prosecute without fear or favour. Going forward, the Ramaphosa administration will need to ensure that the NPA is independent, and rebuild the integrity of the criminal prosecution system that has been perceived to be protecting those involved in graft allegations. Meanwhile, Ramaphosa has set his eyes on dealing with the crisis at another crucial institution, the South African Revenue Service. He recently suspended Tom Moyane as the head of the institution after he was implicated in maladministration at the organisation, which has struggled to meet revenue targets in recent times. Analysts like Daniel Silke, Raenette Taljaard, a former commissioner of the Independent Electoral Commission of South Africa and DA MP, and UCT economics professor Haroon Bhorat, speaking at a recent panel at the UCT Graduate School of Business on the Ramaphosa Presidency, agree that Ramaphosa faces a dual challenge of not only sweeping his own house clean, but also of rebuilding investor confidence and improving SA’s growth, and credit ratings. According to the National Development Plan, SA’s economy needs to grow at an average 5.4% annually in order to address the unemployment rate, which has been hovering at around 27% (the expanded unemployment rate, which includes discouraged workers, is at about 37%). But SA continues to record low growth with the Reserve Bank projecting an expansion of just 1.4% in 2018 and 1.6% in 2019. What is needed are clear policies to boost growth and to diversify the economy with an emphasis on entrepreneurship and the manufacturing sector, which is less prone to negative price shocks. At the same time, the ANC government has to take steps to reduce soaring inequality and high unemployment in the country which, if not addressed could fester and ultimately sabotage Ramphosa’s efforts. There are, of course, concerns around the handling of land reform and expropriation without compensation which could spook investors. Ramaphosa will need to reassure the world that the process will be handled responsibly and with care. At a recent meeting with Moody’s, Ramaphosa reaffirmed that accelerated land reform would be carried out within a clear legal framework and without negatively affecting economic growth‚ agricultural production and food security. In delivering on this promise, he needs to guard against racially divisive rhetoric as the country heads toward elections in 2019. These divisions are being highlighted in the heated and often unconstructive way South African society has reacted to the discussions about land reform and concomitant changes to the Constitution.